It isn’t often that Einstein’s “Theory of Relativity” is applied to football, but it probably applies far more often than we might think. 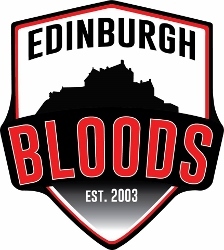 A perfect example of that is the Edinburgh Bloods big win over the West Lothian Eagles by 129 points on the weekend. Einstein would be proud. To paraphrase physics, ‘The speed of light in a vacuum [West Lothian Eagles development] is the same for all observers, regardless of their relative motion or of the motion of the light source [Edinburgh’s victory]”. Admittedly, a tenuous comparison, but there was much more good in the Eagles’ defeat than bad, and that is taking nothing away from the well drilled performance by the Bloods. 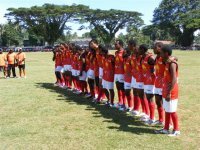 In a match that was another fully-fledged development game for the Eagles and had no bearing on the SARFL ladder, the result was almost irrelevant. The new kids on the block were playing the second placed, experienced club on their own home ground. You don’t need science to predict he result. But new clubs have had far more fearsome hidings in their first seasons that this Eagles defeat. As the club pointed out on their own social media, the fact that they put 66 points on the board against the Bloods speaks volumes for their ability and potential. Even the psychological bonus of keeping the Bloods under the magical 200-points marks was a win. It sounds odd, but this was a very good 129-point loss. Relativity. Over in Glasgow, the Glasgow Sharks women’s team hosted the visiting Port Malmo Lynx from Sweden. After a great game of football, the Sharks were victorious by 63 points. The efforts of the Lynx women and crew to come over to Scotland for the match were greatly appreciated by all. The next round of the SARFL is centred on Glasgow. The Greater Glasgow Giants will host the Tyne Tees Tigers in a must win match for both teams. In the other match, the Glasgow Sharks will host the Kingdom Kangaroos in a match that will also have potential finals ramifications for teams.